When it comes to various home design elements, white can be a terrifying color for some homeowners. Known as the color that shows the most dirt and is most susceptible to stains and other damage, everything from white rugs to white countertops can cause stress for the clean-freaks among us. At Intermountain Stone & Marble Company, we’re here to set your mind at ease when it comes to this area of concern and your quartz countertops. White and lighter colored quartz options are some of the most beautiful out there, and we want you to be able to enjoy yours without constantly worrying about the color remaining pristine. With that in mind, here are a few basic care and cleaning do’s and don’ts for lighter-colored quartz countertop products. Cleaning: Because quartz is an engineered material designed for ease of care, the cleaning process for them is very simple. They can be easily maintained on a regular basis using nothing but a damp sponge or a soft dishcloth, plus some mild dishwashing soap or even just warm water. Simply wipe, rinse, and dry the area for simple messes or small spills. Quartz is a non-porous surface, meaning that any stains that do take place will not penetrate the surface and also won’t harbor dangerous bacteria or germs. Deeper messes: In some cases, you may have a dried mess or something stuck on your quartz countertop that won’t clean quite as easily. In this case, soak a damp towel over the spot until it loosens and then do some scrubbing. If this doesn’t work, cleansers like Bon Ami are known to be safe for quartz and can be used without impacting its appearance at all. Enjoy your countertop without resealing or waxing: Because quartz is made only of resin plus natural stone, it never requires resealing or waxing like marble or granite will. This saves you both money and time. Cleaning: Make sure to avoid all harsher chemicals or abrasive materials when cleaning quartz countertops of any color. These are particularly harmful to lighter surfaces – they can scratch the surface, which shows much more easily on a lighter area than a darker one. Heat: Protect your quartz surface from heavy heat, such as crockpots or electric cookers that might sit on them. Enough heat may warp your surface. Cutting: Only chop food on a cutting board – do not use you quartz countertop as a cutting surface, as this can also scratch it and will show easily on lighter surfaces. Items to avoid: Avoid bleach, nail polish remover, paint remover, silver polish or any oil-based soaps on the quartz countertop. In addition, don’t let children or anyone else use permanent markers or ink on the surface, as this may stain and will show very easily on a light color. 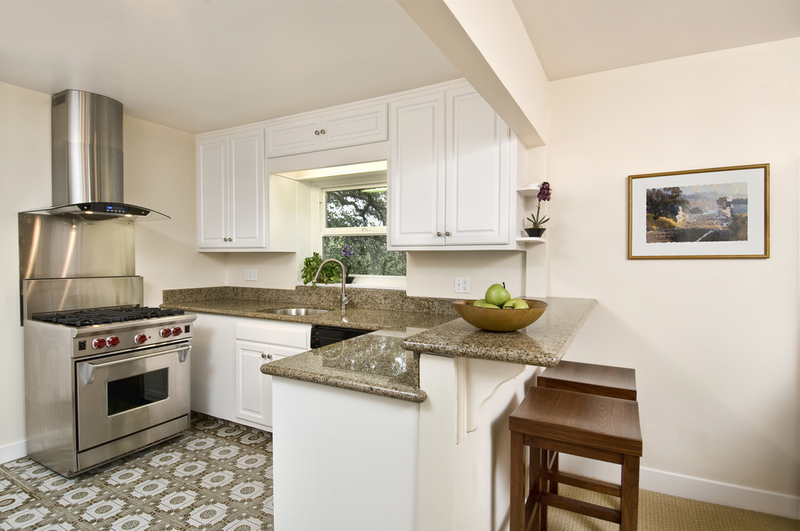 For more on how to keep white and lighter-colored quartz countertops in great shape, or to learn about any of our kitchen or bathroom remodeling services, speak to the staff at Intermountain Stone & Marble Company today.